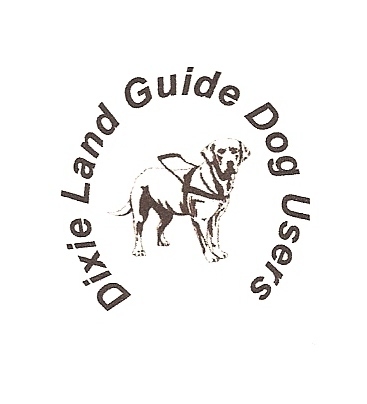 Dixie Land Guide Dog Users: Official Announcement, Top Dog Charleston, 2010! It’s official! Mark your calendar for Top Dog, 2010, January 15-17 in beautiful Charleston, SC! All are welcome! Come enjoy fun, food, fellowship, legendary entertainment and interesting exhibits (including your opportunity to meet with the nation’s top guide dog schools, all under one roof)! Early registration (before December 15, 2009) is only $60 per person and includes meals, entertainment, Friday evening’s reception, a commemorative T-shirt and cap, plus lots more! Registration after December 15 is $75 per person. Best Western (250 Spring St.) is offering us the unbelievable nightly rate of only $64.99 for the entire week of January 11th thru the 18th, for those who would like to enjoy more vacation time here in the “Holy City”. To get this rate, you must call the hotel directly at 843-722-4000 and tell the nice folks at the Best Western that you are going to be part of Top Dog, Charleston! We’ll be posting updates here on the Blog, so check back often to learn more about this upcoming “Funvention”! To register, Email the Dixie Land Guide Team. or call us (843) 608-6890, with your answers to the following questions. 3. What is your guide’s name, if applicable? 4. What is your T-shirt size? 5. Will you need our complimentary ground transportation from the airport, train or bus station? What is your anticipated date of arrival? Once we receive your answers to these questions, we will be calling you to confirm and arrange payment for your registration fee. You may also send your registration in print, Braille or on audiocassette, with a check in the amount of $60 per person registering, made payable to Dixie Land Guide Dog Users, at the following address: Laurel Jean, Program Director, 1407 D Trailmore Dr., Charleston, SC 29407. We’re looking forward to hearing from y’all!